Justin Timberlake is bringing ugly-crying back in his new memoir, Hindsight: And All the Things I Can't See in Front of Me, in which he reveals how he learned his wife, Jessica Biel, was pregnant with their son, Silas. "I was on the 20/20 Experience tour when my life changed forever," he wrote, according to Us Weekly. "I was in Detroit and pulling a week or two by myself because my wife was working in Los Angeles but was coming to visit me in a few days. I had just finished a show, and I got into my car and took my phone out." Timberlake explained that he was greeted by an all-caps message — "CALL ME NOW" — from Biel and "FaceTimed her back immediately." "She answered with this look on her face, and I knew exactly what she was going to say," he continued. "Instead, she just held up the pregnancy test, and we both started bawling. I ended the tour early so I could be at home and take care of my family." Excuse us while we cry our way through an entire box of tissues. 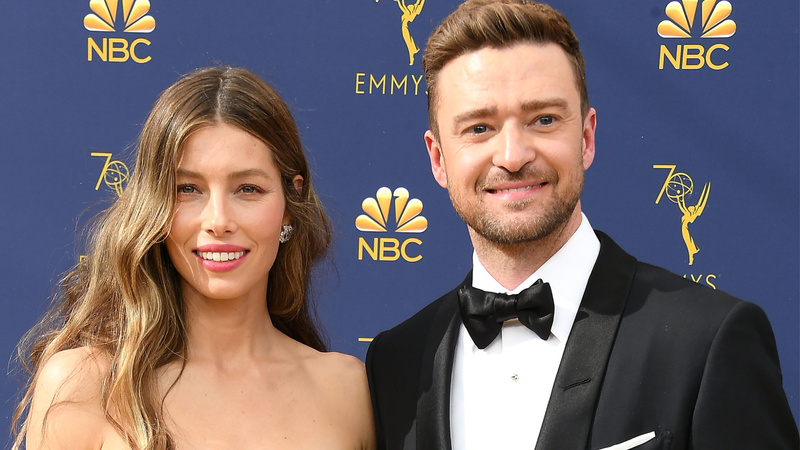 Timberlake and Biel have been serving up #RelationshipGoals since they announced they were dating back in 2007, but our love for the couple has skyrocketed as we've witnessed their parenting journey. The couple, who has been wildly busy with concerts and a hugely successful TV series, has somehow managed to make their family their top priority, whether they're dressing up for Halloween or just taking the time to acknowledge one another. When she spoke with SheKnows around Mother's Day, Biel revealed her favorite gifts always include "the simple things." "My husband always, always sends me flowers, which I always adore and it's something I look forward to," she said. "It's the simple things, I think. I'd much rather spend a day hanging in the park or playing in the pool than getting some kind of big thing." Documenting the most precious moments of their relationship is no small gift, but we think it's one Biel will love and appreciate anyway.